What are the Pros and Cons of White Kitchen Cabinets? Whether you’re preparing to tackle a home renovation or you’re in the process of searching for your dream house, one thing is certain: you have a lot of decisions to make. There are paint colors to choose, hardware to select, and even decisions to make about the layout and design that will make the most sense for your family. It’s easy to get overwhelmed. Sometimes even the smallest decisions can have a huge impact on your everyday life. Even something as simple as choosing the right paint color for your walls can affect your mood. Who wants to wake up every day to be confronted by a color they dislike? Instead of throwing up your hands at the thought of the multitude of decisions that await, try to take it one room at a time. Start with the rooms where you envision spending most of your day, because, let’s be honest—the choices you make now will be most impactful in the rooms you use on a regular basis. Take your kitchen, for example. It’s the activity hub of your home. It’s where you brew your morning coffee; it’s the warm and welcoming spot where your friends and family are bound to gather for every family event. Of all the rooms in your home, the kitchen is the place where your layout and design choices will matter the most. One of the first decisions you should make is picking the color of your kitchen cabinets. There are many options to consider, you’ll need to think about the style and mood you’re trying to achieve. Are you going for a cool, contemporary style, or are you more of a traditionalist? Do you prefer a quirky, eclectic vibe to showcase your personality, or do you find yourself drawn to something old-fashioned, quaint and cozy? 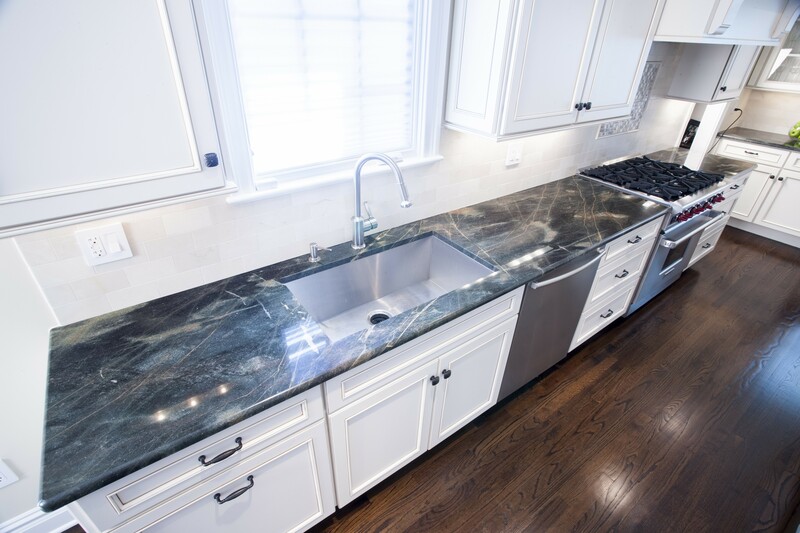 Once you decide on a style, you then need to consider all of the other components of your kitchen, like your appliances, paint colors, countertops and hardware. It’s an important decision to make. You really have to consider what kind of cabinets you want to look at every morning as you make breakfast for your kids or sip coffee before work. White kitchen cabinets are one of the most hotly debated topics in the kitchen remodeling discussion today. While some people love their timeless simplicity and ability to match any décor, others are more critical. White kitchen cabinets have a tendency to show wear and tear more easily than darker colors and tend to require a bit more maintenance. 1. White kitchens are crisp, clean and classic. White kitchen cabinets are the chameleons of the kitchen design world. They match perfectly with any style, whether modern and classy or youthful and eclectic. They can also serve as a subtle backdrop to highlight all of your unique kitchen features or décor. Making the choice to go with white kitchen cabinets can make the rest of the decision-making process easier. With a mostly white kitchen, you won’t need to wonder which countertops will match, if your paint colors will clash, or what kind of hardware to use on your drawer handles. 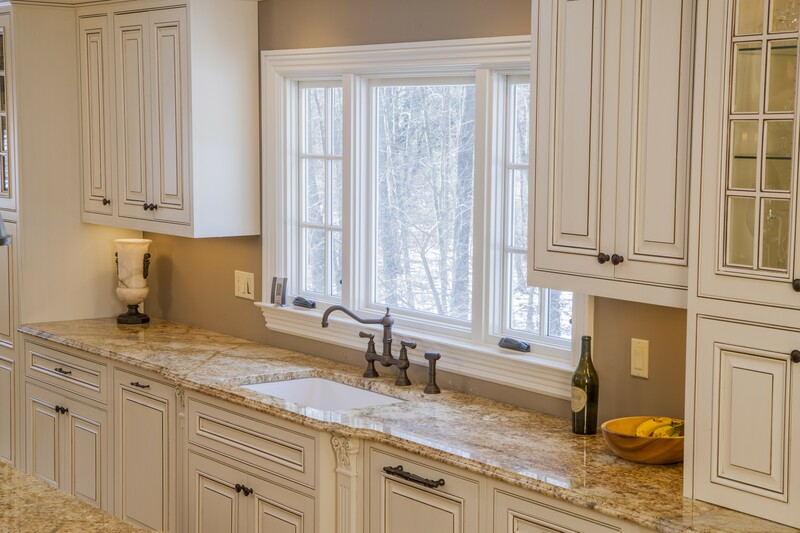 Crisp, classic cabinets will balance any shade of granite or quartz and match any wall color. You can select saturated, bright or muted paint colors or countertops, and your white cabinetry will provide a sophisticated and classic background. White kitchens also go nicely with any color appliances or hardware finishes—whether you decide on stainless steel, bronze, nickel, or chrome. 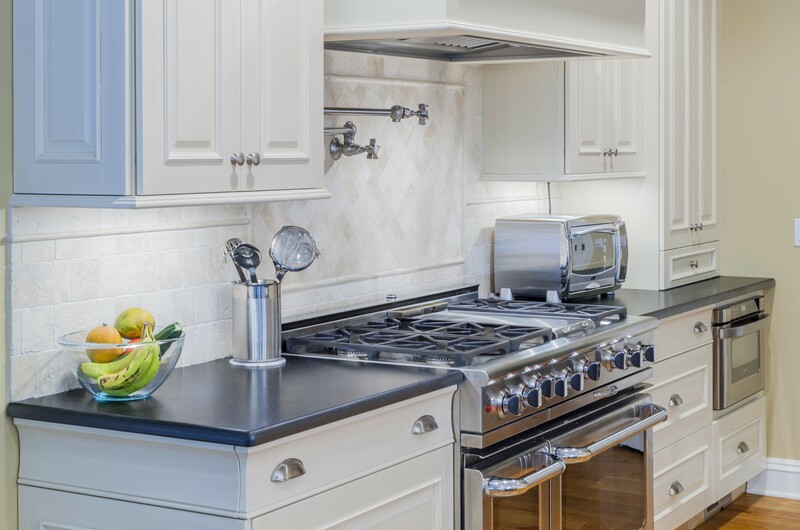 If you plan to incorporate items or appliances with different styles, white cabinetry can be the unifying component that ties everything together. 2. They withstand the test of time. A white kitchen is like a little black dress—it never goes out of style. You can flip through any home decorating magazine published in the last fifty years and find lovely white cabinets on display, looking as pristine and timeless as your mother’s favorite set of pearls. As the years go by and various fads appear and disappear, a white kitchen will be the one room in your house that won’t feel dated or unfashionable. Remember those awful burnt orange and avocado green kitchens of the 70s? Or maybe you recall the sickly-sweet pastels of 1980s kitchens? 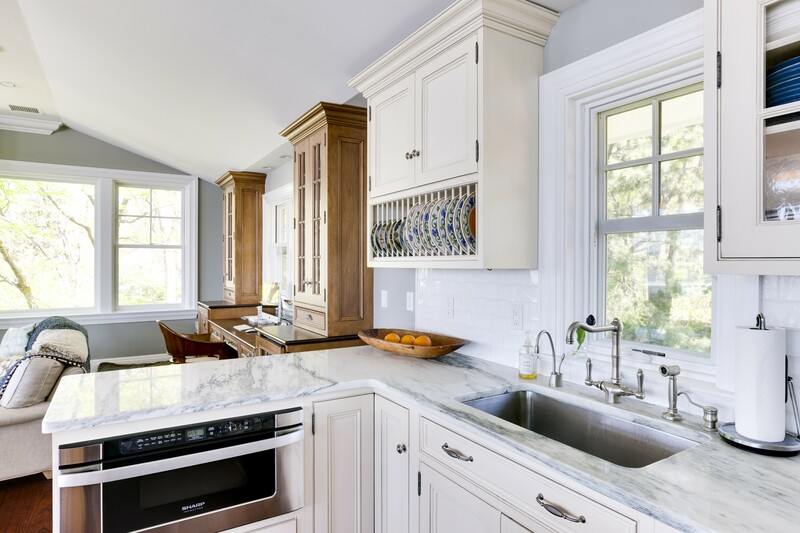 Instead of spending money revamping your cabinets to match each passing trend, you might want to invest in a white kitchen and save both time and money. White cabinetry can withstand any trends without dating your home. It’s one simple choice that can help you conserve your energy and resources over the years. 3. 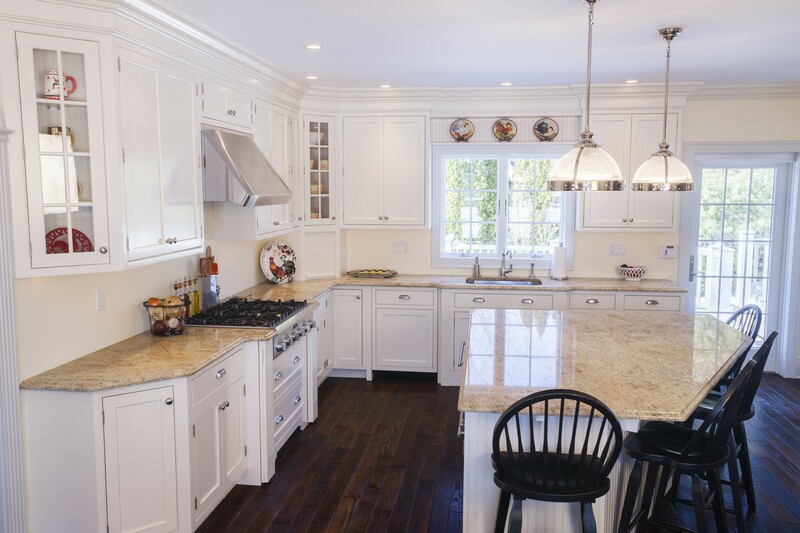 White kitchen cabinets can increase your resale value. You might be years away from even considering listing your home, but resale value should always be on your mind. White cabinetry has proven to be the most popular among buyers. It’s easy for them to envision their own mixer and toaster on the countertop, and it takes away the stress they might have of wondering if their existing furniture or beloved items will match. White kitchen cabinets are like a blank canvas for potential homebuyers. They’re a clean start to the ever-daunting process of purchasing a home and can help ease some of the anxiety most buyers feel. If they don’t like the look, it’s easier for them to imagine painting them or replacing them with different colors. In today’s competitive housing market, it doesn’t take much to turn off a potential buyer. 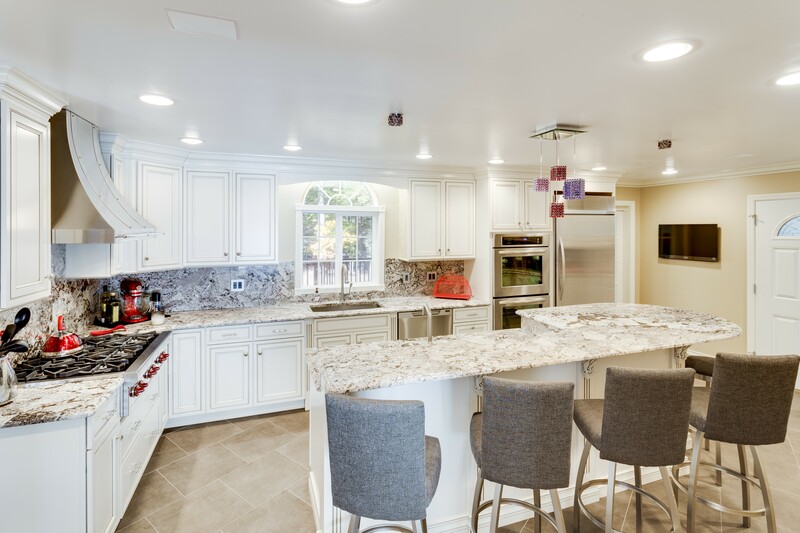 White cabinetry allows buyers to focus on the other features of your home, and you won’t have to worry as much over whether your kitchen will make or break the sale. 4. White kitchens reflect light (and look bigger). Bright, light cabinets catch and reflect sunlight to make your kitchen look larger and more pristine than it really is. If your kitchen is on the smaller side, white cabinets can give you the illusion of more square footage. Investing in white cabinetry can be a much less expensive way of making your kitchen appear more expansive. Lighter cabinets really look their best in kitchens with well-placed windows that let natural light stream in for most of the day. The brightness of the cabinets creates a reflective surface that allows light to bounce around the room, illuminating and brightening even the darkest spaces. 5. They can be dressed up or down, depending on your mood. If, down the road, you fall out of love with your kitchen décor or style, white cabinets are extremely forgiving to those with decorator’s remorse. It’s much easier to swap out décor, furniture or window treatments when your kitchen is mostly white because you won’t have to worry about what will match. Unlike wood-toned cabinetry, where it’s easy to notice subtle clashes between your other furniture or flooring, white cabinetry makes it easier to make other small remodeling decisions. Are you the type of person who loves to decorate for the holidays or host themed parties? A white kitchen offers a clean slate for all of your seasonal items and artwork. It will blend seamlessly with your spooky orange and black Halloween additions, and then effortlessly match your sparkling holiday décor a few months later. 1. White kitchens get dirty. When white cabinets are first installed, they’re crisp, clean and beautiful. They don’t always age gracefully though. Unlike darker cabinets that can hide everyday grime—like fingerprints and smudges—light colored cabinets will only make them more noticeable. Dust and dirt that you might not have even thought about in other rooms will show in a kitchen that’s predominately white. Since the kitchen is often the main gathering spot of any home, it’s also bound to get dirty quicker than other areas, and any grime is also likely to be noticed more by your family and guests. Some might argue that this is a good thing! It’s much-needed motivation to clean your kitchen on a daily basis or to adopt a more intensive home maintenance plan. On the other hand, others will point out that a lightly-colored kitchen is an unnecessary evil that just adds to your already busy schedule. 2. They show wear and tear. As your home ages, your cabinets are likely to go through the typical wear and tear that results from constant use. Nicks, scuffs and scratches are all normal effects of a well-loved kitchen. With white cabinets, though, your eye has nothing to distract itself from zeroing in on all of the blemishes that will undoubtedly cover your cabinets. 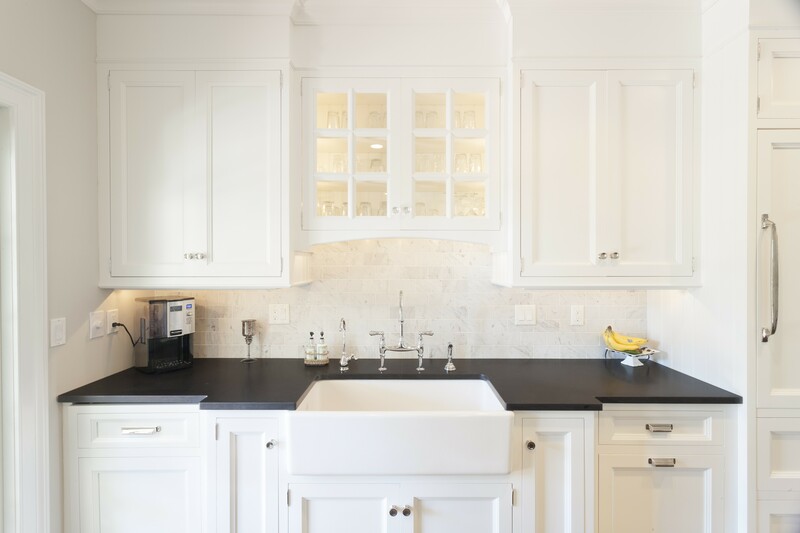 White cabinetry can also turn to slight shade of yellow with age. This is a natural progression of any white surface, but it can lead to some noticeable inconsistencies with other white finishes in your home. Darker cabinet colors also tend to be more forgiving when it comes to cheaper woods or finishes. You can get away with choosing a less expensive wood material when you have a darker stain on top. White cabinets, however, draw attention to flaws, rudely highlighting any woodgrain irregularities or inconsistencies. Also, as your home ages, minor flaws can become more noticeable and pronounced in a lighter kitchen. 3. Your kitchen might feel cold and clinical. Stark white cabinets can have a clinical, utilitarian feel. When we see a mostly white kitchen, we’re led to make comparisons to a restaurant kitchen where the hustle and bustle of mass-produced food overshadows any sense of warmth or care. Even worse, a kitchen that’s mostly white can remind you of a sterile clinic or your dentist’s office. Neither option is a good one. If you’re relying on your kitchen to be a warm, welcoming place where memories are made, you don’t want it to come across as sterile or uninviting. We tend to limit our time in places we deem to be cold or scientific. How many times have you wanted to linger at the doctor’s office after your appointment is over? Yes, kitchens have a specific function, but they also have another purpose that’s just as important. After the meal is cooked and enjoyed, we often remain in the room chatting, cleaning, and enjoying each other’s company. If your family and friends are more apt to compare your kitchen to a science lab than a cozy gathering place, then a mostly white kitchen might bring you more lonely nights than fun ones. 4. Too much variety is not always a good thing. White is one of those hues often praised for its variety. The range of shades is nearly limitless, but this isn’t always a good thing. What might look bright white in a catalog can easily fall short of your expectations when you see it in person. Cabinets that are pearly or glossy white will look quite different from ones that are described as antique or heirloom white. This can make it very difficult (not to mention extremely frustrating!) to match other white furniture or wall colors in your home. The amount of light in your kitchen also makes a difference. 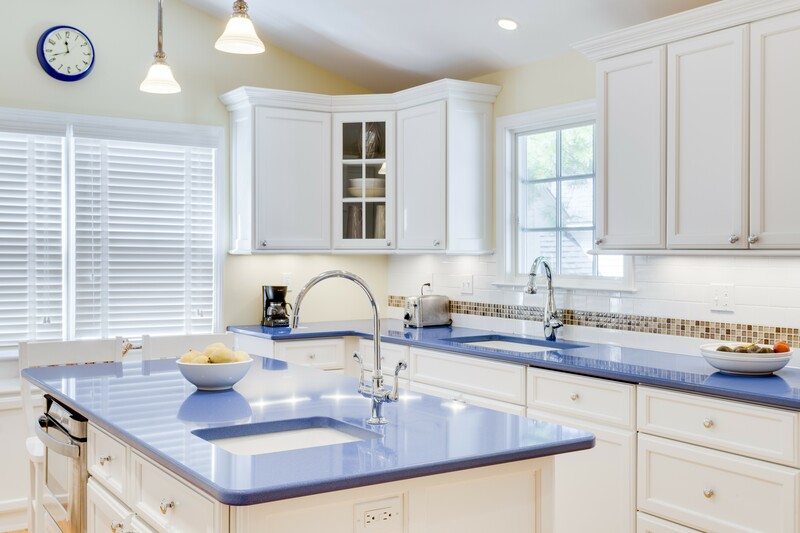 You might have been drawn to a warmer shade of white, like cream or ivory, in a well-lit showroom, but these hues can easily look dated and dingy if your home kitchen is not as bright. We use our kitchens nearly every day. If your family spends most of their time in the kitchen, you want it to be as welcoming as possible. Choosing a color for your cabinets is only one of several decisions you will make as you remodel or search for the perfect kitchen. It’s also one of the most important ones since you’ll probably open and shut your cabinet doors multiple times a day. When it comes to choosing the right cabinets for your lifestyle, you’ll never face a shortage of options. Ultimately, however, the final choice is up to you, your family and how you envision enjoying your kitchen day after day.